Out with the Old, in with the New! 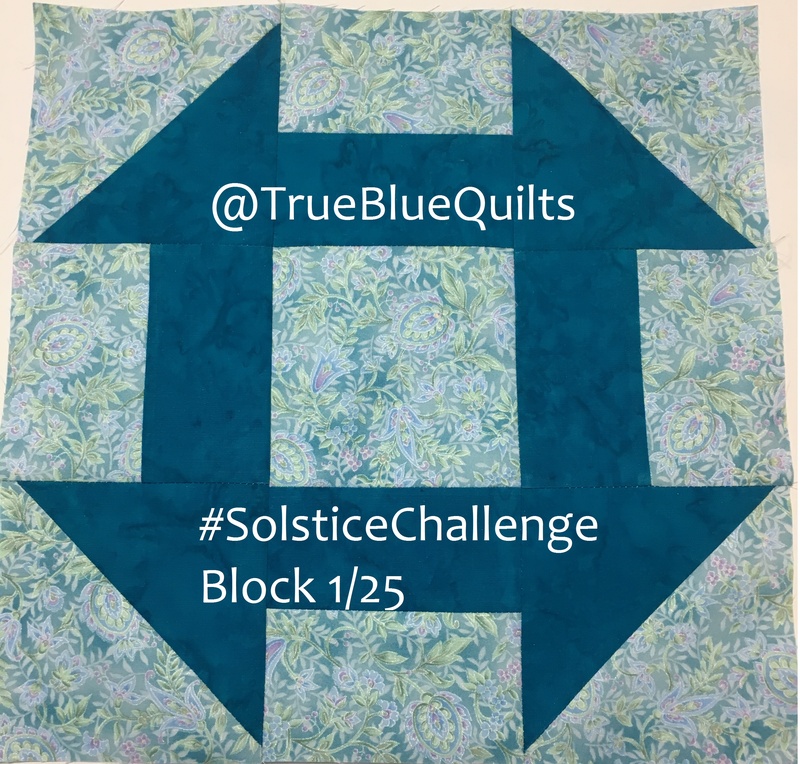 I am intrigued by Pat Sloan’s latest quilt along – the #SolsticeChallenge, so I have the challenge of choosing colors for quilts. 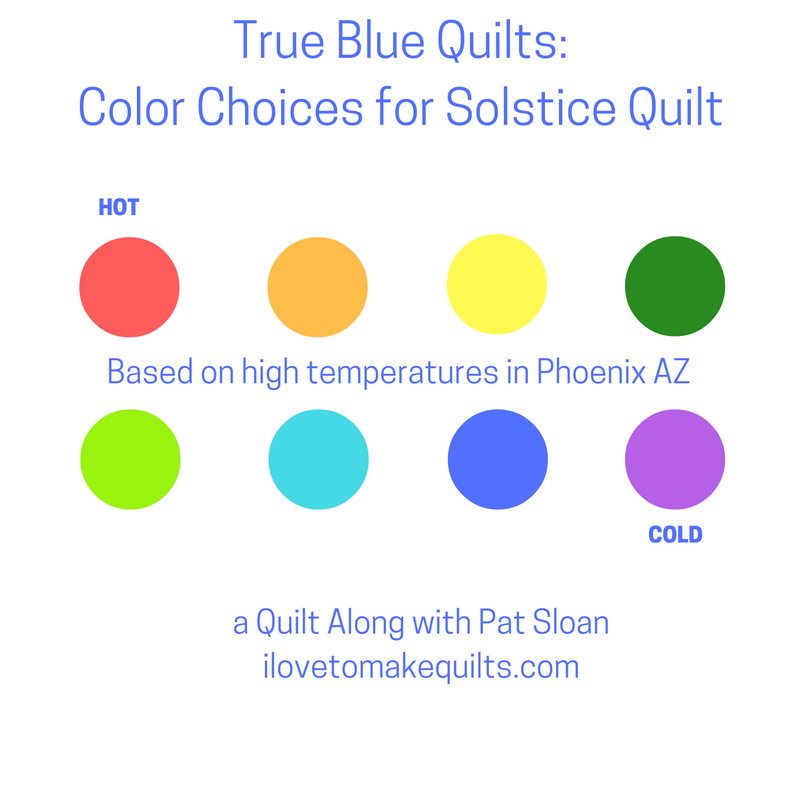 Thinking about the passing of time and changing seasons, I was inspired to base my color palette for this quilt on the daily temperatures here in Phoenix, Arizona. The TV news people have dubbed this a “Chamber of Commerce” forecast – the tourism industry loves to advertise our beautiful winter days in contrast to the northern parts of the US that get freezing temperatures and lots of snow. The first three months of the challenge may be boring, then we will see the jump…we have had 100 degree weather in April! Of course, the daily variation can be more interesting than just one temperature reading per week. For instance,the high temperature on Christmas Day was just 55 degrees! I love picking fabrics for a new project. 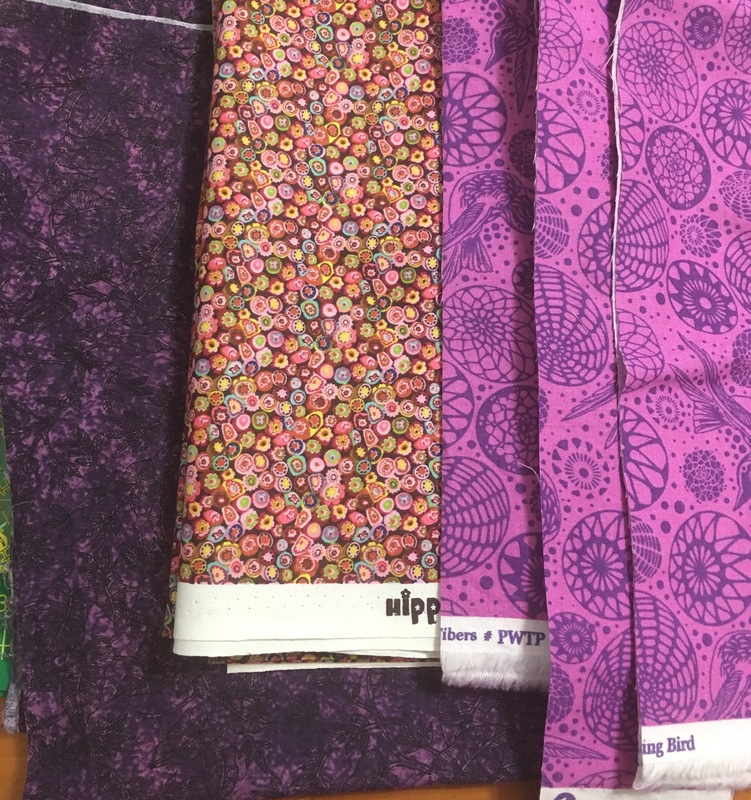 Most of the time I start with a specific color, then move to my stash to pull specific fabrics. Rebecca at Bryan House Quilts details her process for selecting fabrics with a color scheme here. For a recent project, I pulled some purples. 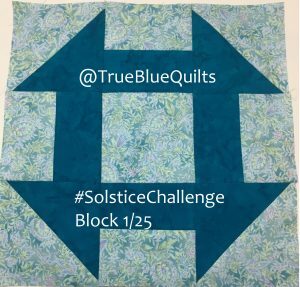 There is no set formula for choosing colors for quilts, no matter what “they” say! My theory is to trust your instincts and work with whatever looks good to you. Beauty truly is in the eye of the beholder. I talk about making color decisions in my book Monochromatic Quilts: Amazing Variety. Once you decide on a broad color family or theme, then the fun begins as you pick fabrics and decide what looks good together. 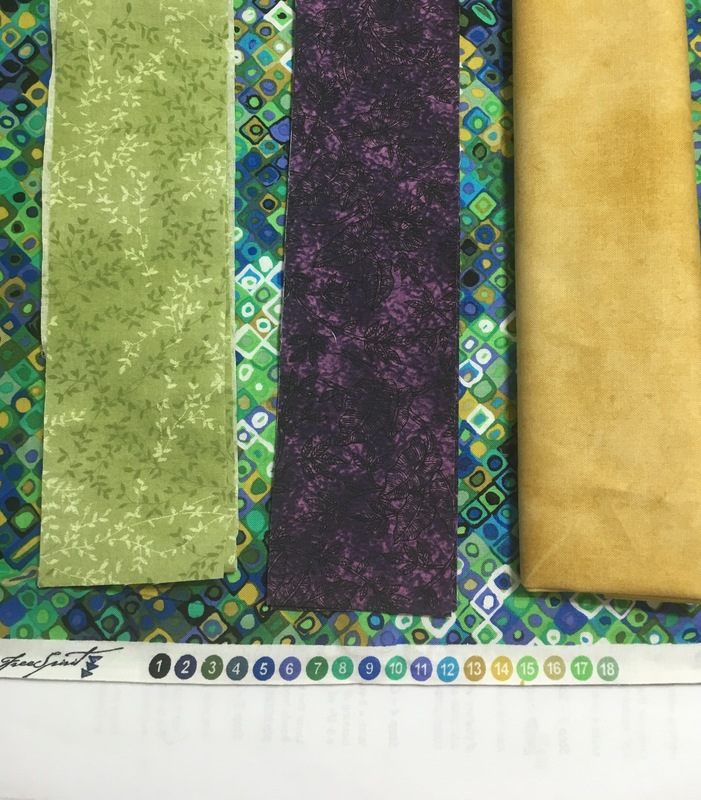 Sometimes the fabric will lead you to other colors, such as the purple and gold tones in this multi-color green print. How do you choose colors? What palette are you using today? Leave me a note in the comments, I’d love to hear from you!